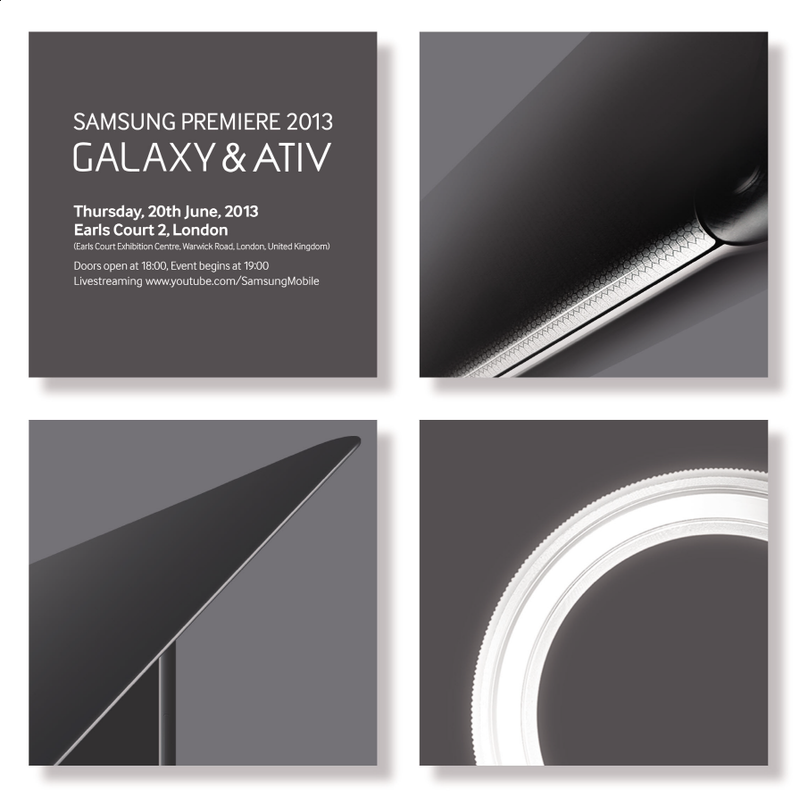 Samsung has just announced a new event that will be used to “premiere” new mobile devices for its Galaxy and ATIV portfolio. The unveiling will take place on June 20 at Earls Court 2, London and be livestreamed over on its corresponding YouTube channel from 6pm BST/ 1pm ET/ 10am PT. The teaser poster (below) includes three snapshot images that could give readers a tantalizing glimpse at what the new devices will look like. Rumors of a smaller Galaxy S4, appropriately named the Galaxy S4 Mini, have been circulating for some time now, although the moniker is so strong – and synonymous with Android – that it’s also possible we could see multiple devices being announced simultaneously. The ATIV range, meanwhile, is Samsung’s ongoing foray into the Windows Phone mobile operating system. The company is yet to make much of a dent; the ATIV S, released last year, was met with some pretty middling reviews. Nokia still dominates what small market share Windows Phone has accumulated in recent years – new data suggests it has just overtaken BlackBerry – so it should come as no surprise that Samsung wants to strengthen its position in this space too. The Next Web will be covering the launch as and when it happens, so be sure to check-in with our site both during and after the event.